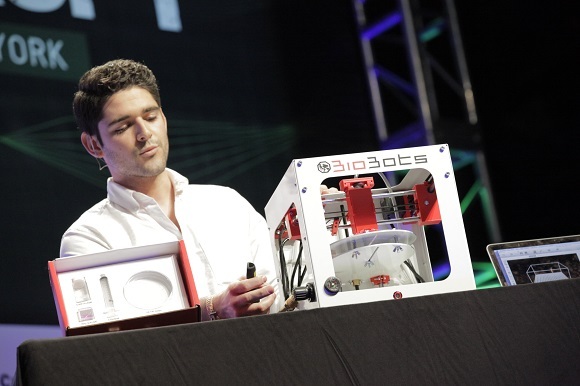 BioBots is a U.S. based biotech startup. At present it is at an intersection between chemistry and computer sciences. 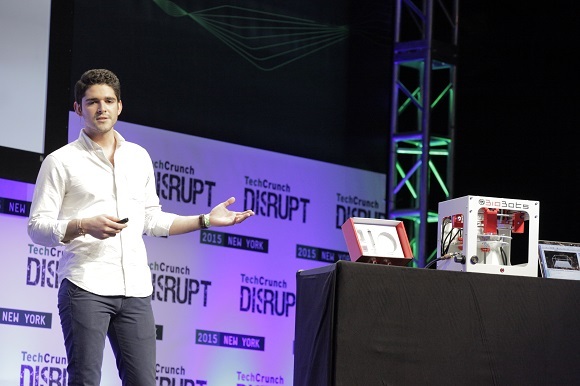 They have recently represented their first product – a desktop 3D printer for biomaterials. 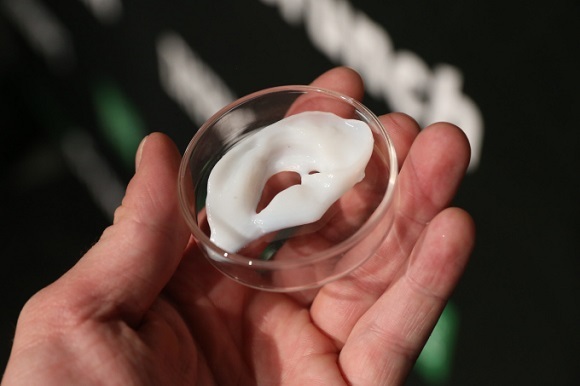 Its capabilities were demonstrated at TechCrunch Disrupt NY where it 3D printed Van Gogh’s ear in replica. According to the co-founder Danny Cabrera that is true innovation. The process of artificially creation living tissue (more known as biofabrication) is not unfamiliar. Research in this area has been carried out for about a decade. Cabrera and his fellow-scientists consider that they have found the way to study and renovate the expensive and too complex devices. What inspired them was a small relatively cheap 3D printer used to extrude plastic. But their 3D printer uses a special kind of ink instead of plastic, which can be mixed with living cells and biomaterials to 3D print tissue and small human organs. At this stage it is beneficial for research and preclinical screening, like drug testing (it is a good alternative to animal testing). However it is not the same as 3D printing organs from the human’s cells that can replace other organs, but that’s what they are moving to. The short-term goal of the technology is to to help foster bespoke disease therapies. According to Cabrera, at present they view it as a means for pharmaceutical companies that are carrying out clinical drug research and testing. Their devices can be used to create 3D living tissue models from human cells and these models can be even used, but they are far more complex in comparison with animals or 2D tissue. But their advantage is that they can recap body functions and can help develop compounds for clinical settings. That is going to be the way to create personalized therapies. 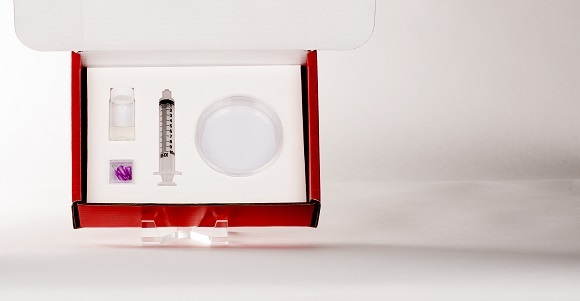 Imagine patients coming to a clinic, you can take their cells and recreate small 3D tissues for one particular patient and try various ways of treating his case, including drugs and therapies. There is such a notion that they seem to lump together various diseases and name them and then treat. But what should be kept in mind is that all patients respond to various diseases and treatments in a different way – everything depends on an individual. And the conventional ways of developing drugs may seem a bit old-fashioned – when companies produce one and the same medicine for millions of people in the same way during the expensive clinical trials. Today the company is determined to revolutionize this and create one drug for one particular person. The projects began when last summer two co-founders were about to get their biology and computer science degrees at the University of Pennsylvania. The focus of their research was tissue and genetic engineering. They came up with the idea that they could use similar approach, used in maker movement, to create small and low-cost gadgets in bio-tech. When they started looking what already existed they found huge devices, which resembled old mainframe computers. They occupied the whole room, their price was nearly half a million dollars and it was very difficult to operate them. Only technicians could manage with them. The team took part in a university competition and won $5,000 as capital to create the first prototype. One PhD student bought it, and they understood that their idea was good and went through the Dreamit Health accelerator in Philadelphia and pulled in $50,000 in that program last autumn. Now they are not selling the initial biomaterial printer and work mainly with scientists to adjust it. 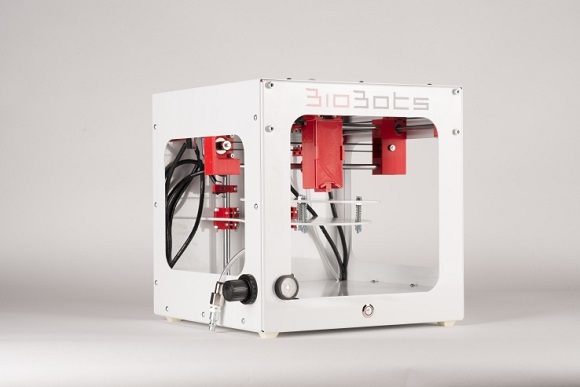 The price of the device for scientists who help the BioBots develop is about $5,000. These days the team is working to sell the preliminary version of the cartilage ink kit at $700. That is what various printed biomaterials will base on. The combination of the blue light with the compound photoinitiator, which is in the ink, is used to heal biomaterial structures. It doesn’t use UV light or pressure, whereas other devices do. Cabrera says that their method is more effective for 3D printing living tissue as both UV and pressure can do harm to the living cells. But the blue light doesn’t have such an influence on living cells. 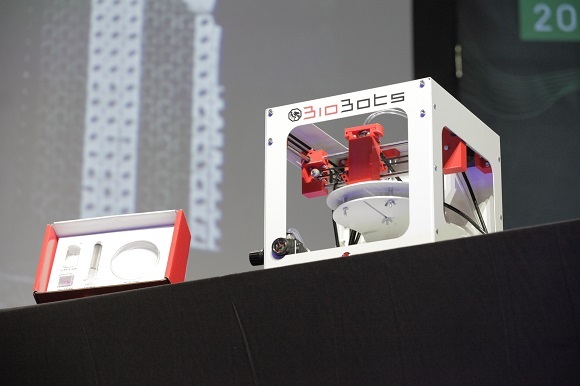 If the user wants the device to fabricate a cartilage, liver or a piece of bone, he or she should combine the BioBot’s photoinitiator powder with the kind of living cells they intend to print. To make sure the cells stick together it’s advisable to add binding factors. They suggest the ink that is made up of three powders. They are planning to add the fourth one, which is the binding factor. The users should then add the cells, mix that for about five to ten minutes and put it into the device. The users can use either AutoCAD or Solidworks or any other CAD software at their disposal to have their structures designed. The software will convert these files to printer instructions. Their printer has one extruder. It is the hydraulic pressure that pushes the stuff from the syringe. When the biomaterial is out, the blue light starts to solidify the structure. The printing time depends on the type of the tissue being fabricated. Currently the BioBots’ clients are working to on a wide variety of objects using such a process – livers and lungs, skin heart, cartilage and even brain and bones.